BitLocker is a free encryption feature in Windows that comes standard on most versions of the OS and allows for the encryption of drives on the system, as a layer of security. With traditionally unencrypted disks (the vast majority of the world’s computers), attackers could extract all of the data available on the local disk. This can be done by simply docking the system’s HDD onto another computer to browse the file system or by running a live distro of Linux\WinPE where the data would be in clear text. Not only is the local data on an unencrypted disk at risk, but other sensitive data like password hashes could also be recovered and used for other malicious purposes. Therefore, drive encryption is an integral part of good security. 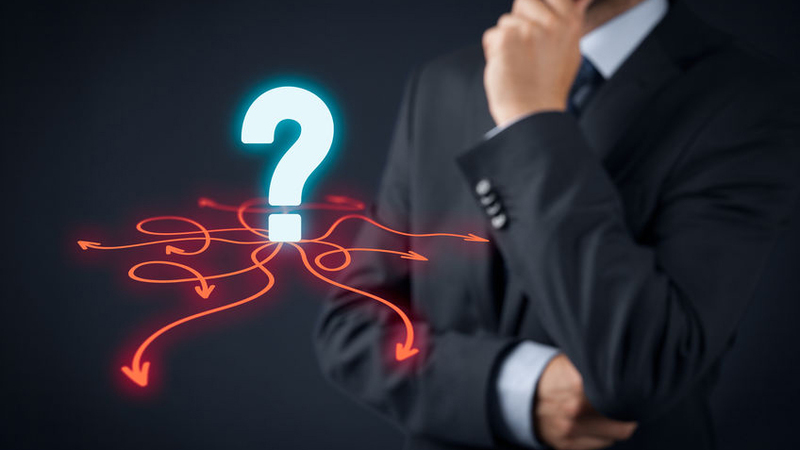 The problem with enabling BitLocker, or any other security feature, is that it poses a significant burden on administrators in terms of: manageability, reliability and required knowledge. 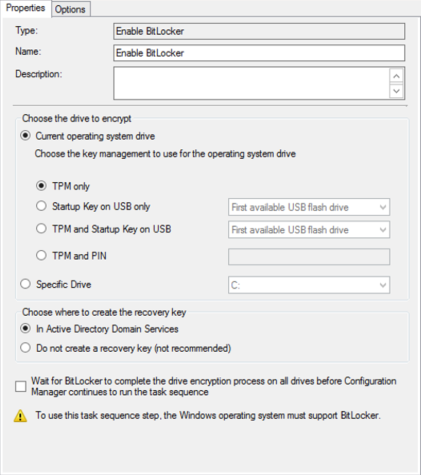 In order to ease the manageability effort required by BitLocker, we want to leverage a traditional System Management platform, such as System Center Configuration Manager, as well as the IDaaS (Identity as a service) feature offered by Azure Active Directory and the automation capabilities provided by Azure Automation, so as to allow the end-user to recover the BitLocker key protector by accessing the myapps.microsoft.com portal. Note that in this article, only TPM recovery key is covered, meaning that only the OS volume is managed, without PIN codes to remember, no usb key required at logon, 100% transparent as far as users are concerned! With all of that said, this form of implementation is not the most secure available, since, for example, it won’t allow for multi-factor authentication. Instead, the goal is to provide “better than nothing” encryption, which is far superior to leaving the disks in clear text. A USB drive could be configured as a so-called “key protector”. When this is done, that flash drive must be plugged into the pc at boot up in order to unlock the drive and boot the system. A passcode (whether short or long, numerical, alphabetical, or alphanumerical) could be used as a protector. When this is in place as a key protector, the end user must supply the passcode at each boot. 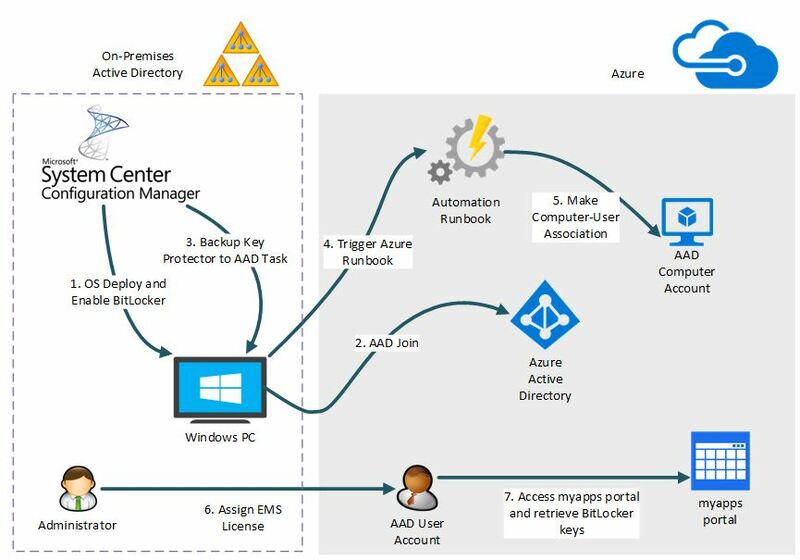 Azure Active Directory (AAD) is a comprehensive identity and access management cloud solution that provides a robust set of capabilities to manage users and groups. It helps secure access to on-premises and cloud applications. Azure AD comes in three editions: Free, Basic, and Premium. For this scenario, AAD Premium is needed. Azure AD Connect is a service which is aimed to keep the association between the computer and user accounts in your on-premises Active Directory (AD) and the device and user objects in Azure AD. 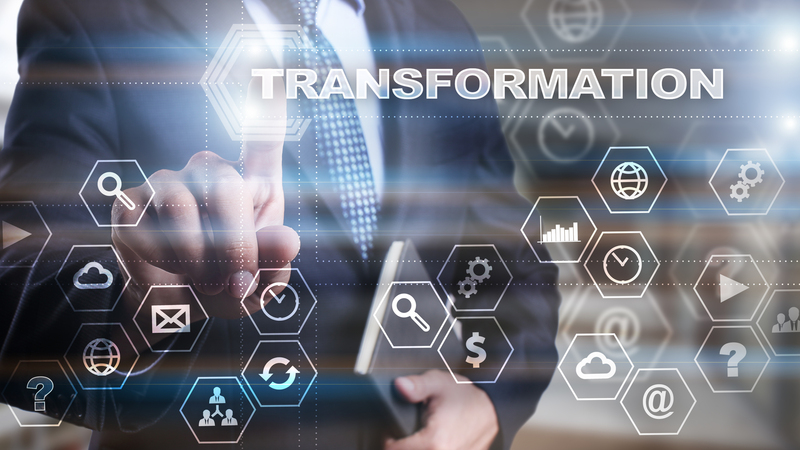 In this way, users can use a single identity to access on-premises applications and cloud services. It also enables other device related features like Windows Hello for Business. More on this can be found here. Let’s do a quick recap: what we want to do is to protect computers’ OS volume with the use of BitLocker, leveraging the TMP chip to save the encryption key. Then we want to create a Recovery Key and upload it to AAD, allowing the users to retrieve it independently, in case of need. One possible solution to achieve our goal is depicted below. Let’s dig into more details of each of the steps outlined. Here the preferred solution to enable and configure BitLocker protection is System Center Configuration Manager (SCCM). We can use an OS deployment task sequence to enable BitLocker straight from the PC installation or we can enable it later, by running a script or another task sequence containing the “Enable BitLocker” task. Here how this step looks like in a SCCM task sequence; note that this operation can also create a Recovery Key and save it to Active Directory (on-premises). Although not tested, also other types of AAD join, such as “Azure AD joined” or “Azure AD registered”, should be ok. For more information on the available kind of device registration in AAD, refer to https://docs.microsoft.com/en-us/azure/active-directory/device-management-introduction . The script can be deployed by any means, the only thing MANDATORY is that it must be executed with local admin privileges. We accomplished that by leveraging (again!) SCCM, which runs the script in the SYSTEM context. 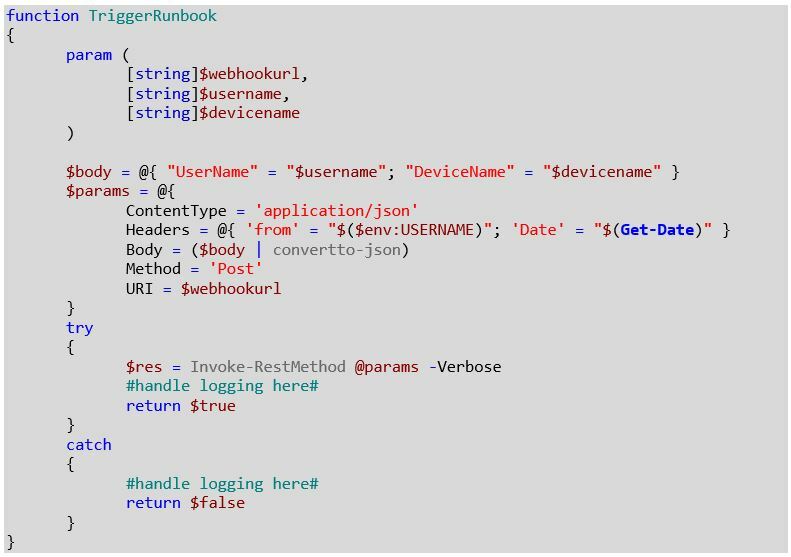 The idea is to start a (previously deployed) Azure runbook, passing as a parameter the name of the primary user (or users) of the PC. Now, the concept of “Primary User” comes from SCCM, and we leveraged the User Device Affinity (UDA) in SCCM in order to know who the primary users are. How UDA works is out of scope and can be examined here. All the actions above make use of the AzureAD PowerShell module, version 2.0.0.131 or later, which must be made available under Shared Resources\Modules. Important note: credentials of an account with AAD global administrator role are required. 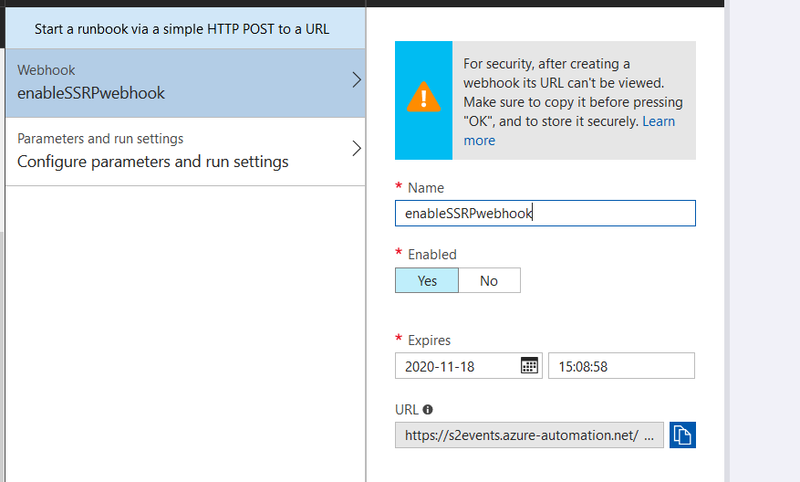 When creating the webhook, you are asked for a date of expiration: THIS IS IMPORTANT, since the alphanumeric token associated to the webhook URL will remain valid until the date you specify here! The highlighted section is the security token that must be used as input parameter of the script described at step 3. 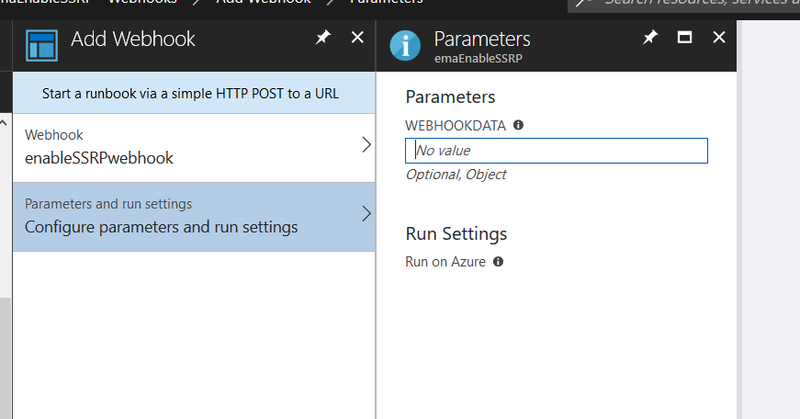 Important note: after creating a webhook, its URL cannot be viewed, so write it down NOW! Clicking on “Get BitLocker keys”, the recovery key can be retrieved, in case of need. Protecting data by encrypting the computer disk is a good practice when security is a concern. However, managing a large number of BitLocker-enabled computers can pose a significant load on administrators, especially when it comes to support end users after an event that might trigger BitLocker recovery mode on the OS volume, such as a Bios setting change or a Bios update. 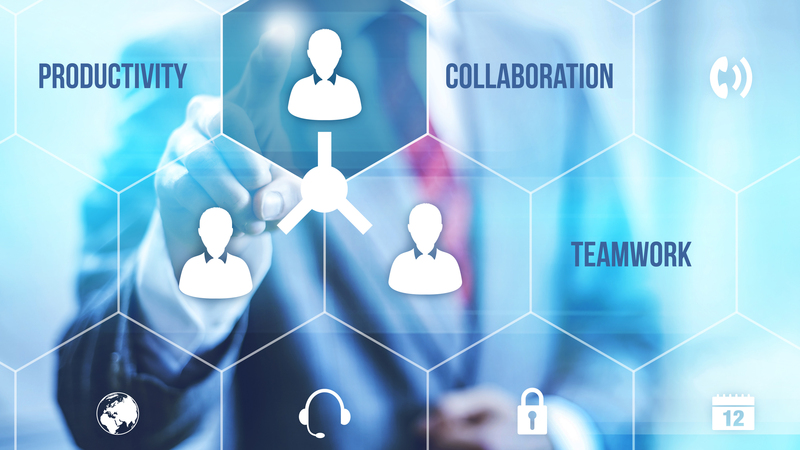 Thus, the possibility for the users to independently recover from such a situation can be of great interest to the IT department. Do you want more information about this? Contact us!